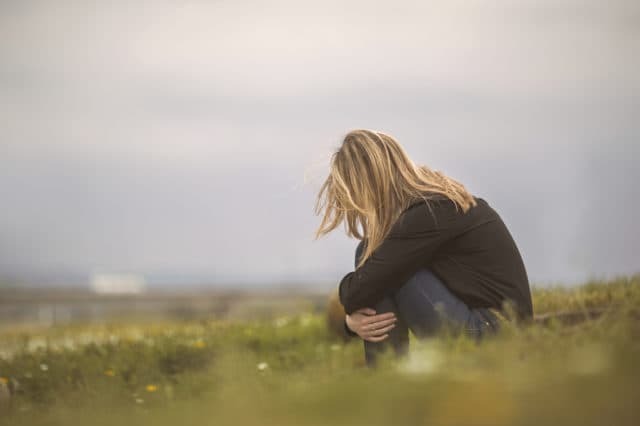 Anecdotally, it’s not uncommon for someone who has recovered from one addiction to find himself or herself embroiled in a new problematic behavior – one that may pose a comparable threat to his or her wellbeing. How come a new fixation crops up just as a prior one is (seemingly) resolved? Several theories abound and expert opinions are divided over whether such “substitute addictions” constitute separate (and legitimate) problems or are lesser evils that inevitably crop-up along the path to total recovery. at University of Southern California’s Institute for Health Promotion & Disease Prevention Research, “Substitute addictions may produce similar positive sensations in the mesolimbic dopamine system, associated with reward.” That is to say that they fulfill a previous need of a recovered addict, granting them a pleasurable fix (or its illusion) similar to a previous one they sought out. Another theory is that having engaged in substance misuse, an addict’s brain is rendered more vulnerable to losses of self-control and thus no matter what activity he or she engages in during sobriety, s/he will be at risk for going overboard on just about anything pleasurable unless his/her brain can be retrained to regulate impulses and cravings. In this line of thought, substances or problem behaviors are indulged in to regulate mood imbalances, intrusive thoughts, and/or energy levels. Because the addiction is propelled by something deeper, that need for this external regulation will easily latch onto a new outlet – either in the form of a new substance, or a compulsive behavior – if left untreated. Substitute addictions can be sneaky, especially when they crop up in the form of seemingly healthy activities, like exercise. Since few people in our culture consider excessive levels of physical activity to be problematic, the silent struggles of people who come to rely on compulsive exercise in place of a previous behavioral or substance addiction often remain unnoticed. Some psychologists argue that substitute addictions are an inevitable outcome along the road to recovery – and that rather than being feared, they should be accepted as part of the recoverer’s process of achieving a more balanced, moderate way of life. Irrespective of your stance on whether substitute addictions are good or bad, the most helpful things you can do if you’re concerned you might be against one is to be mindful of what going overboard looks like and ally yourself with friends and family members who can model what a healthy amount of a particular behavior actually looks like. It can also be helpful to undergo cognitive behavioral therapy (CBT), which has been proven to effectively treat addiction or dialectical behavior therapy (DBT) in the event an underlying personality pathology is at play. Equally important is to, especially during the early stages of recovery, limit one’s exposure to situations in which excessive, compulsive, or otherwise self-destructive behavior will be encouraged. For example, people with a history of addiction may want to limit time spent shopping, gambling, or exercising to the point of exhaustion, as well as avoid stocking their cupboards with junk food (since overeating is very common following the cessation of addictive substances and binge eating has been found to be more common among individuals with a history of substance abuse and behavioral disorders). Self-forgiveness is also critical to ensuring that shame doesn’t perpetuate or give rise to a new addiction. All of us, addicts or not, go overboard sometimes. It is our awareness of this fact and our ability to pause and reign ourselves in that ensures our emotional and physical survival.